FACL Partners With First 5 Amador to support "Dolly Parton's Imagination Library"
Friends of the Amador County Library is pleased to announce a new partnership with First 5 Amador, which will support "Dolly Parton's Imagination Library," a program available to all children, from birth to age 5, who reside in Amador County. Originally created by Parton in 1996, the program mails a new, age-appropriate book every month to registered children from birth until their fifth birthday - at no cost to the family, regardless of income. Over 700 children in Amador County receive books on a monthly basis. The first book that each child receives is a customized version of the children's classic, "The Little Engine That Could." On a monthly basis, children will then receive a developmentally appropriate book to help build their early literacy library. When signed up at birth, a child will receive their 60th free book the month that they turn 5. Registration brochures are available at the Amador County Library branches, Pine Grove and Camanche Lake Community Centers, Amador County Public Health Department - Baby Welcome Wagon, any of the four weekly playgroups offered throughout the county as well as at community events. 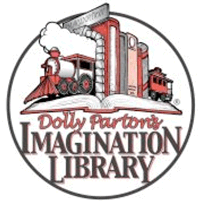 Alternatively, parents can register online at www.imaginationlibrary.com. Donations can be sent to The Friends of the Amador County Library, Attn: First 5 Amador Imagination Library - P. O. Box 701, Jackson, CA 95642. For more information, visit www.first5amador.com or call 257-1092. Support FACL by starting your shopping at smile.amazon.com by following the link you'll find on the bottom of every page on our site.